Manhattan, NY (January 5, 2019) – Police responded to a three-vehicle accident this morning, January 5, that led to serious results. Two people were allegedly injured in the accident, which took place around 5:30 a.m.
Police responded to the area of East 23rd and FDR Drive when they discovered that three vehicles ran into one another. Two occupants were hospitalized with a variety of injuries but are expected to recover. One of the vehicles involved in the accident was turned sideways on the road, taking up two lanes and making it impossible for vehicles to get through. This led to delays in the area for quite some time. We understand how difficult it is to deal with the aftermath of a serious car accident, which is why we extend our sincere sympathies to those involved in this accident with the hopes that they are able to move forward. Police continue to investigate so that they can make conclusions about the accident. Every year, these accidents take place across New York, causing serious results to those involved. 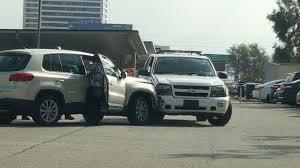 Our experienced car accident attorneys are here for you in your time of need. At Hach & Rose, if you or someone you love has been injured in one of these life-changing accidents, you have rights. A negligent party should be held liable in the event of a serious accident and we will work to help you cover your outstanding losses. You have spent so much time suffering following an accident and we would like to extend a helping hand to take the stress away from you during your time of need. Don’t handle your claim alone. Contact us today for more information at 212-779-0057.